Naomi Watts wallpapers for your PC, Android Device, Iphone or Tablet PC. If you want to download Naomi Watts High Quality wallpapers for your desktop, please download this wallpapers above and click «set as desktop background». You can share this wallpaper in social networks, we will be very grateful to you. 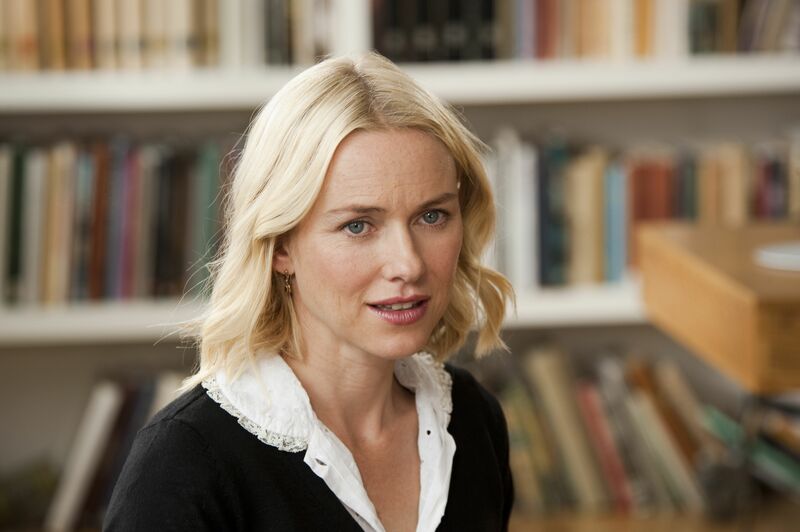 Naomi Watts (Naomi Watts) – Anglo-Australian actress and producer. “Oscar” nominees. The greatest popularity has gained thanks to his roles in the films “The Painted Veil,” “21 Grams,” “Mulholland Drive”, “King Kong” and “Mother and Child”. She was born September 28, 1968 in the UK, in Kent. Her mother was engaged in trafficking in antiquities, and his father was a sound engineer of the legendary band Pink Floyd. His parents divorced when she was four years old, three years after his father died. At that time, Naomi, along with his older brother and his mother often changed their place of residence and had to live in different parts of England. In the end, they settled down and did in Sydney, Australia. By that time, the future actress was fourteen years old. The girl’s mother was fond of playing in amateur theater than naturally infected and his daughter. Young Watts graduated from acting school and began to walk on the casting, where she met and became friends with Nicole Kidman career starts. In 1986, Naomi made her debut on the screen, playing a small role in the movie “Just for the sake of love.” She also drew attention to the modeling career and went to Japan, but has not taken a great interest the world of fashion and returned to Australia. She got a job as a journalist in a popular magazine, but the desire to become an actress is not lost. In 1991, Watts was offered a cameo role in the film “Flirting” with Nicole Kidman, Naomi then noted in the mini-series “Bride of Christ”, where her partner was another unknown Russell Crowe. A year later, the director of “Flirt” gave the actress a role in the film “Wide Sargasso Sea”, filmed on the novel by Jean Rhys. After the completion of the film, Watts moved to Los Angeles and quickly passed the casting tape “matinee”. Another notable work was the participation in the comedy “Tank Girl”. In the nineties, Naomi has appeared in “Children of the Corn 4: Harvesting” horror film, the thriller “Unidentified”, drama “The time in captivity,” detective series “Hunters of Dreams”, the drama “Dancing at the lighthouse,” melodrama “Honest Courtesan” and “strange planet”. Despite the abundance of roles, they brought her only acting experience is an important, but not fame. The lucky ticket to the world of world cinema for Watts became one of the main roles in the thriller David Lynch’s “Mulholland Drive.” The movie became a cult, was nominated for “Oscar” and received a prize at the Cannes Film Festival, and Naomi’s name has gained prominence. The next film with her participation have become successful “Call”, “four funerals and a wedding”, “The Outsider”, “Rabbits”, “Ned Kelly”, “divorce” and the dramatic thriller “21 Grams”, a role which Watts was nominated for “Oscar”. comedy “I Heart Huckabees” Later came melodrama “We do not live here anymore,” based on a true story drama “The Assassination of Richard Nixon,” the thriller “Stay.” In 2005, the even more popular actress brought blockbuster “King Kong”, after which the world saw such a picture with her participation as “The Painted Veil”, “Eastern Promises”, “Funny Games”, “International”, “Mother and child “,” The game without rules. ” Among the last works of Watts can be noted detective thriller “Dream House” and the biographical drama “J.. Edgar”.